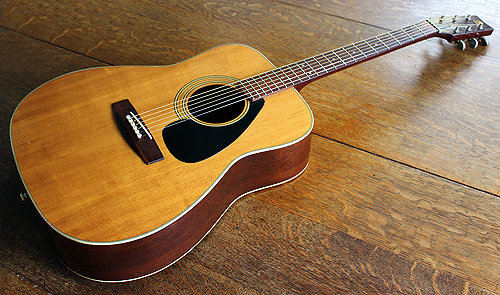 Yamaha have been producing their FG series folk guitars since 1966. 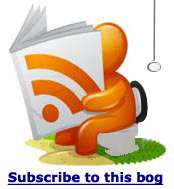 They have become a favourite with collectors and have attained an almost mythical status. Many claim the guitars have matured with age and they have been compared to old Martin guitars of a similar vintage which have a price tag way more expensive. After playing quite a few examples of Martins and old Yamahas I have found they sound different, but it's true to say that the Yamaha guitars are in a class of their own for sound and playability especially the older ones. 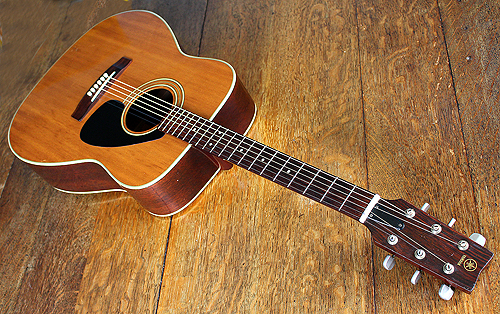 The original spec for Yamaha FG was to produce an acoustic guitar that had a good balance between bass and treble and great playability at a price that was affordable. To keep the costs down they used a carefully chosen spruce laminate top instead of a solid wood top that would have been usual for the time. 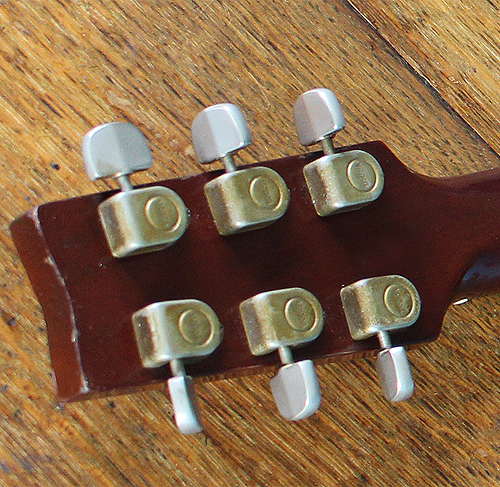 This gave the guitars the correct resonation and a great sound which made them cheaper to produce and more popular with players. There were issues with them with the main complaint arising from a problem of the laminate bowing over time causing the bridge to raise up. Largely the only way to cure this is with a neck reset where the guitar neck has to be removed and re angled it to compensate for the bow. So it can be hard to find one in good condition and their popularity began to make the price rise. To my mind if a guitar has been built well it will sound good and the makers choice of laminate on these guitars was an important move that changed acoustic guitar design. Even some Martin guitars use laminates on their guitars today. This model shown here is a Black Label Yamaha FG 160 - 1. It was made in Taiwan in 1976 according to the black label and serial number and it has the laminate top. The sound hole confirms this was one of the last laminate top models of the era. The back and sides are made from sapele mahogany, the top is a spruce laminate and the fingerboard and bridge are both made from rosewood. The machines are all original and consist of six excellent slot type tuners stamped Yamaha. The neck and truss rod are all in excellent order and the guitar body has not suffered from the bowing that afflicts many of the older Yamaha FG models. This 40+ year old guitar has probably been played for nearly all of this time as it’s got plenty of little scratches and dints but has no real structural damage. The way the top has coloured with age and use really does add to the appeal of this guitar and the original yellow has faded to a beautiful aged brown giving it an immediate character. New guitars are coloured this way to make them look old but the original colouring of this guitar has that beautiful aged look that can't be re produced. The bridge piece has been replaced with a new Tusq one as the original was damaged when I got the guitar. The new bridge piece works very well and is a great improvement on the original version. 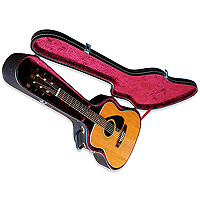 A hard case is supplied with the guitar and its age is contemporary with the guitar. The case also has a few dints and scratches but it works well and will protect the instrument when not in use or when being transported. The case has no key and I have never really understood fully why they do have keys anyway because it wouldn't be difficult to prise off the catch if you lost the key from those old forma cases. The guitar plays and sounds great and it has its own sound that projects really well. 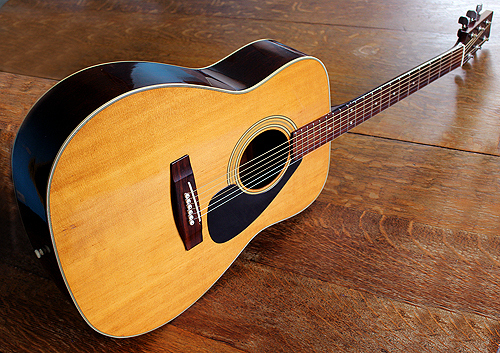 Like all good acoustic guitars the sound has clarity whether it is played very softly or strummed with a pick. 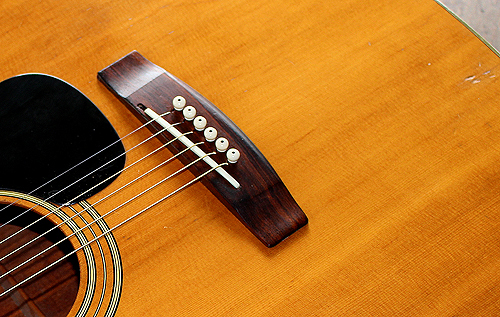 String height, intonation and frets are all in good playable condition that makes it easy to play. The original design spec from Yamaha was to give special attention to the mix of bass and treble response on the FG range and I believe it is probably this sound that has helped these old Yamahas gain their collectable reputation. Overall this guitar sounds and plays great and has a snug fitted hard case. 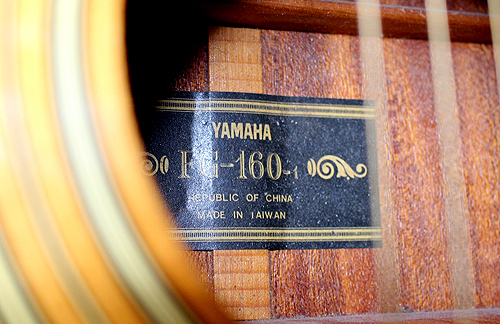 Don't get caught up on the colour of the label on the 60's and 70's Yamaha FG range. Try this one as Yamaha would not have let their reputation fall by bad quality control. 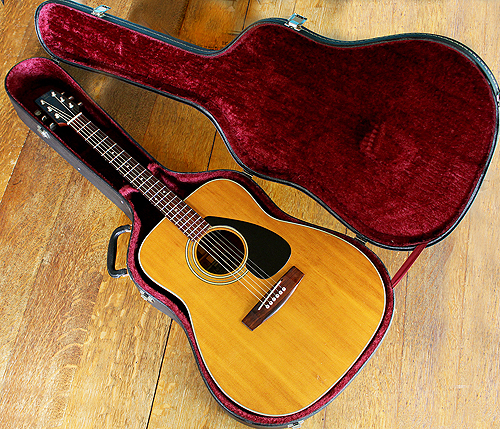 This 41 year old guitar has that great vintage Yamaha sound with the looks to match. Buy it now at a price much less than the earlier coloured labels and experience this guitar for yourself.